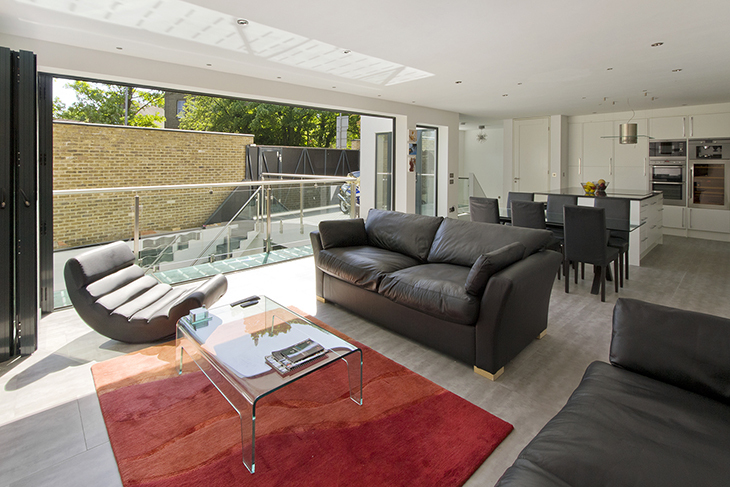 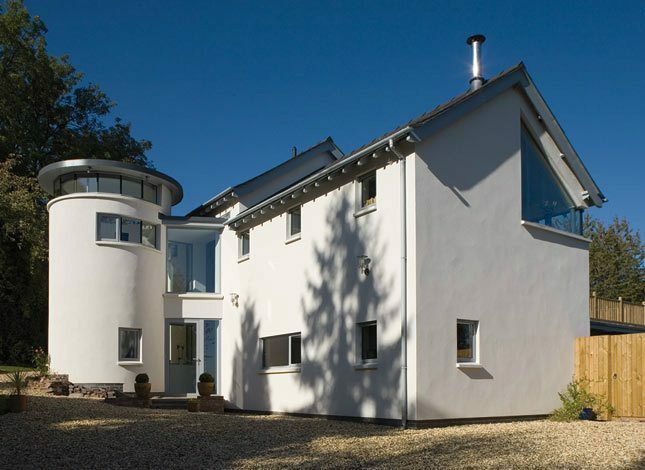 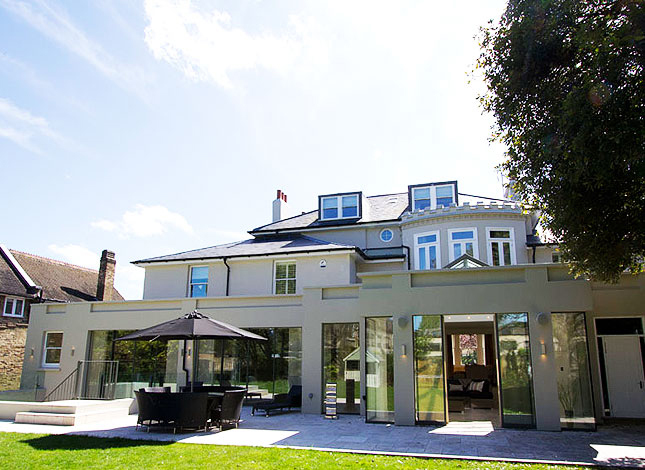 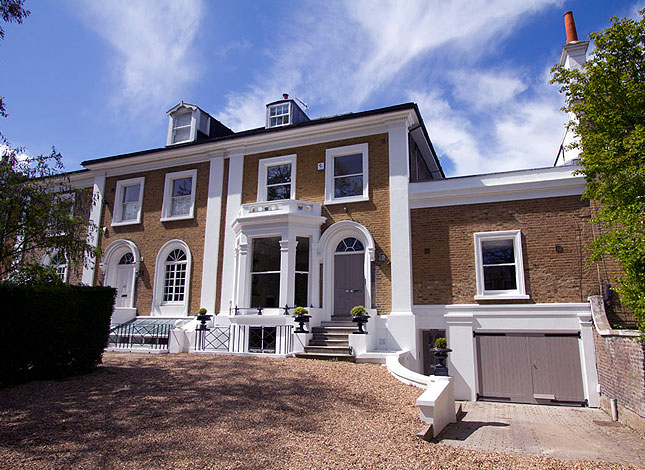 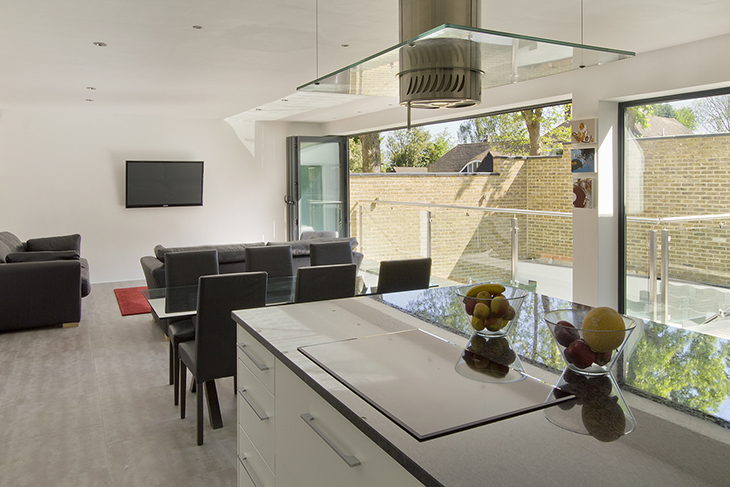 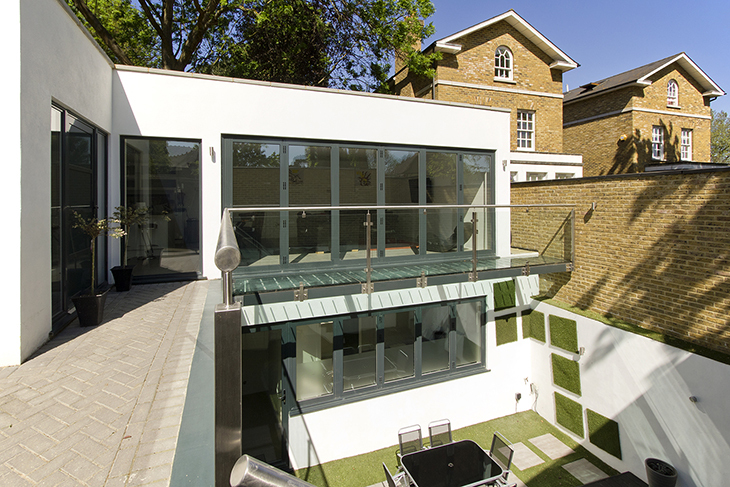 This new build is a subterranean house, constructed on a former garage block located within a conservation area, surrounded by gardens and large Victorian town houses. 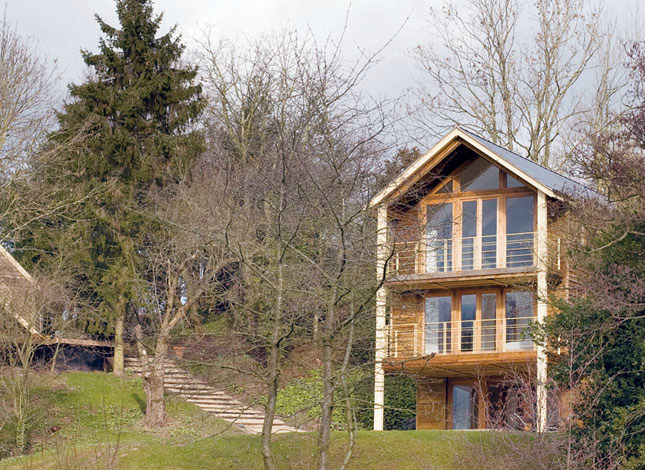 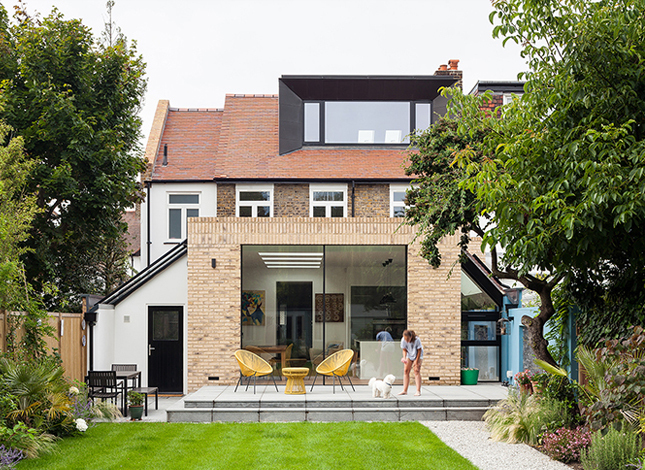 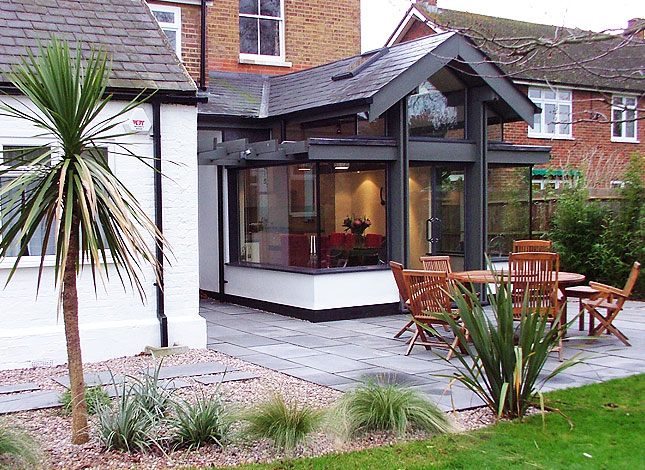 Planning policy limited building height to no higher than the existing garage building and dictated a need for a flat roof, and the protection of a tree and roots within close proximity to the boundary of the adjoining gardens. 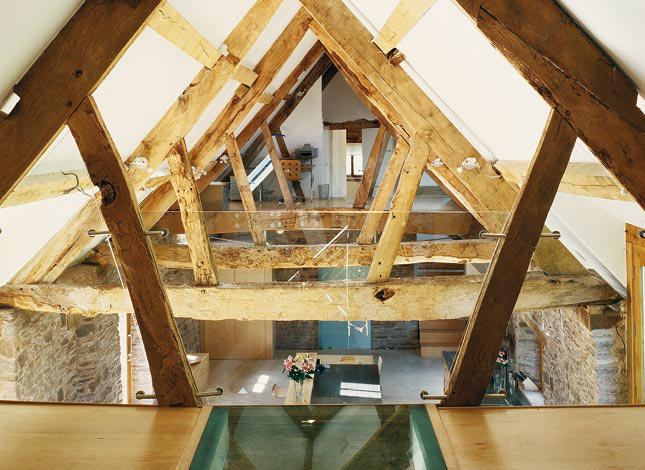 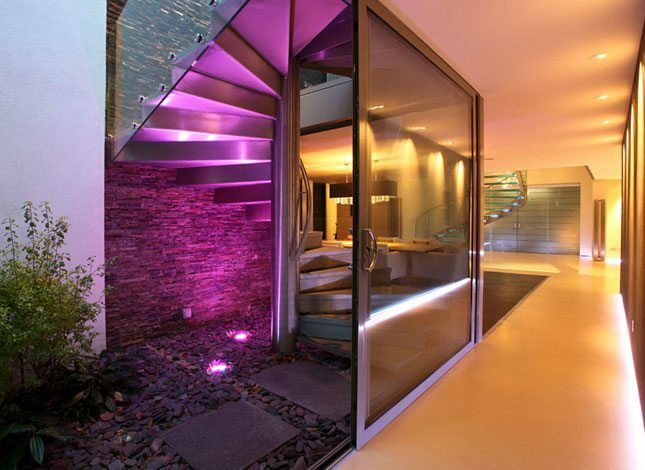 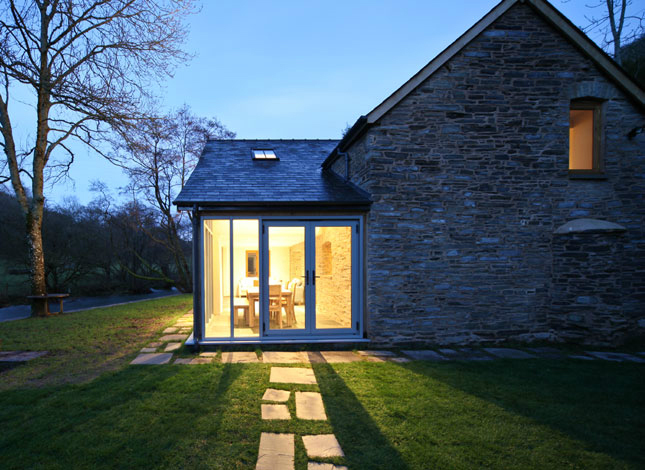 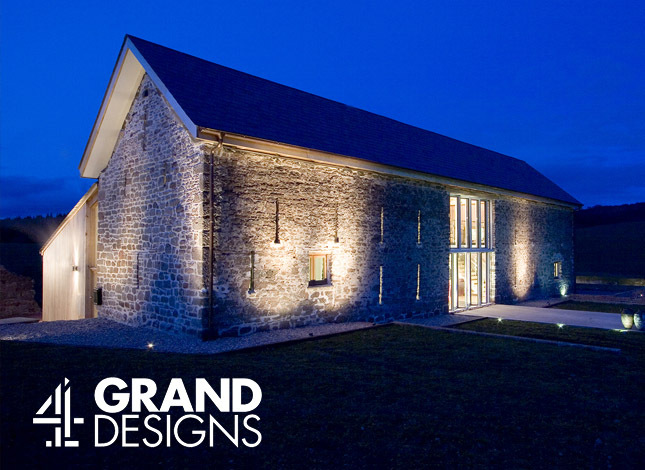 We embraced these design constraints to an innovate a luxury subterranean home for our client. 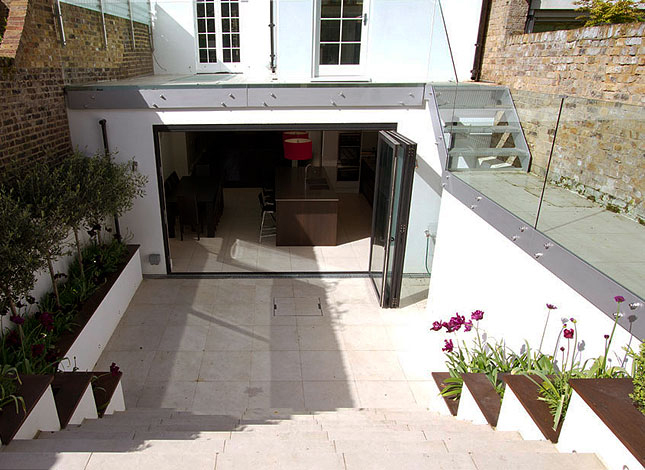 The design is a two-storey L-shaped courtyard house, over two levels – the lower level being a subterranean excavation to maximise the value of the site; the upper level is a courtyard and living space behind the garden and mural wall. 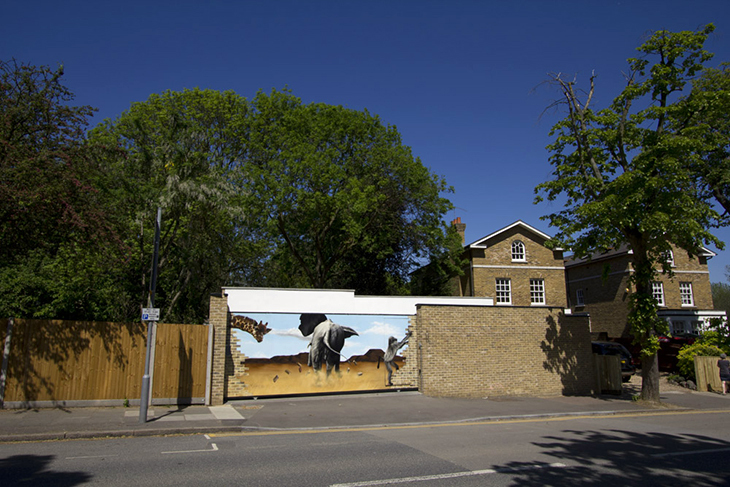 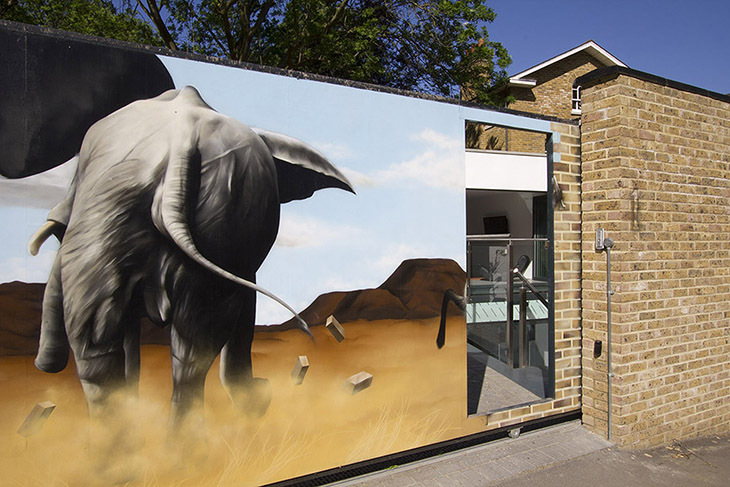 We worked closely with Corinna Cope, who project managed the build and produced the artwork, which has lead to the creation of a stunning wildlife mural at street level. 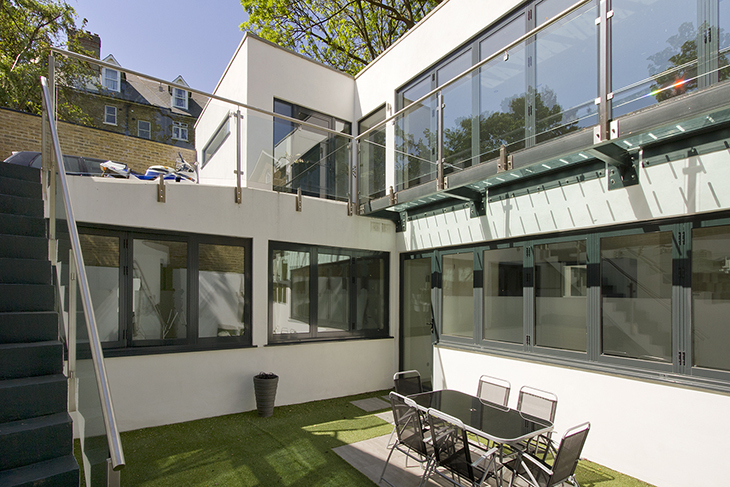 The L-shaped form enables all habitable rooms to overlook the sunken garden, and doors from within the ground floor open plan living space reveal the external space, which is shaded by an over-hanging glazed deck. 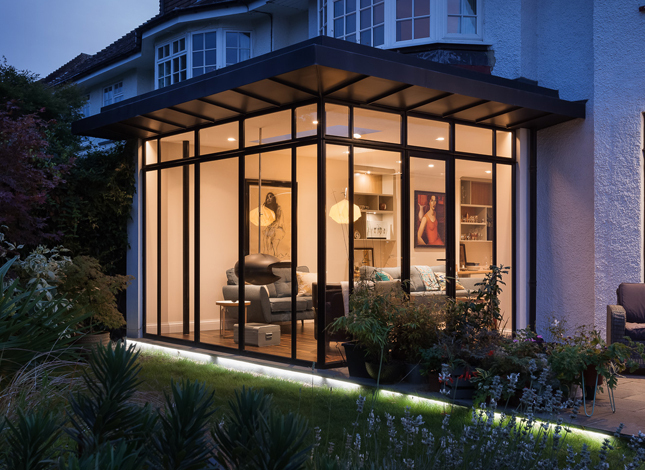 The house incorporates eco-design principles; the flat roof integrates a sedum roof to support and promote urban bio-diversity; and, rainwater harvesting is used for cistern flushing and reuse within the garden space – botanic.